Record Temps Hit the Midwest | Donors Make the Difference! It's been 20 years since our community has felt temperatures this low, leaving people experiencing homelessness more vulnerable than ever! 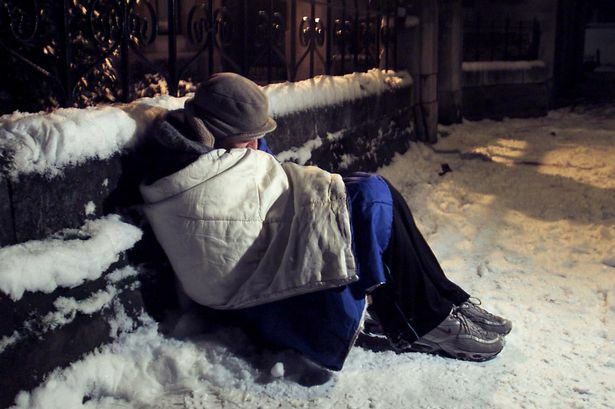 Shelter House's Out the Cold campaign funds our extensive outreach during the winter and provides shelter for everyone in our community, no matter their circumstances. Shelter House is grateful for those who have made monetary donations as well as those who have donated much-needed items along with their time. 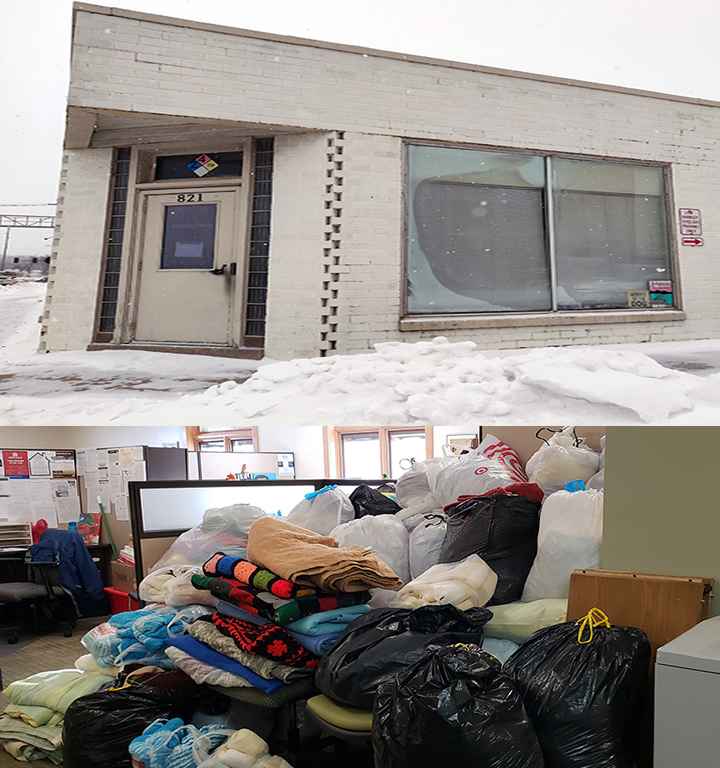 If you'd like to contribute to our efforts to keep everyone out of the cold, donate online today https://shelterhouseiowa.org/donate/. Due to dangerously cold weather this week, Shelter House opened our overflow lobby and winter emergency shelter all day Jan. 29 thru Jan. 31 to serve as a warming center and a place to sleep for anyone in need 24/7. But as temperatures in Midwestern cities plunged to levels colder than parts of Antarctica and officials warned people not to step outside even for a few minutes, Tony Neeley stood on a downtown Chicago street corner Tuesday, wearing wet sneakers and clutching a hand warmer packet in each of his bare hands. He had already been there for hours. 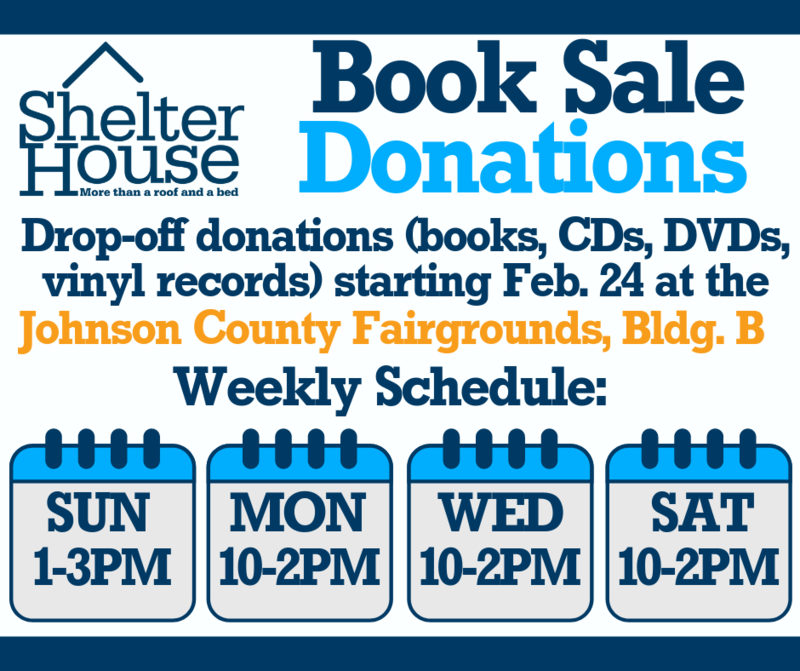 Our largest fundraiser of the year is our annual Book Sale held in March every year and we will begin accepting donations at the end of this month. Books (and other media) can be dropped off at Bldg. B at the Fairgrounds starting February 24 from 1pm – 3pm. Donation drop-off will continue every Monday, Wednesday, and Saturday from 10am – 2pm and Sundays from 1pm – 3pm through the week of the sale! At this time, we are unable to accept textbooks, encyclopedias, or magazines for the sale.